Yplatform: Network of Business Leaders « Yplatform | global insights – local impact | Connect. Empower. Inspire. Mr. Antoine is an international business development and management consultant who currently serves as Associate Director of Antony Consulting, overseeing its Vietnam operation. He also provides strategy and management consulting for many leading US and European MNCs entering Asia Pacific markets. He has had more than 20 years of experience in the ICT (Information – Communications – Technology) industry. He started his career as Technology Advisor on a World Bank project in Madagascar. After moving to Singapore in 1988, he founded his own consulting firm, providing consulting services in the area of Artificial Intelligence, and subsequently, joined ILOG, a global IT solution & consulting company. He previously served on the board of many portfolio companies advising them on management and marketing strategies as part of VinaCapital, a private equity investment and venture capital firm in Vietnam. Mr. Antoine speaks fluent Vietnamese, French, and English. He holds an M.Sc. in Management of Technology from Massachusetts Institute of Technology (MIT) as well as an M.Sc. in Computer Science from the International Institute of Robotic and Artificial Intelligence of Marseille, France. Olivier is currently Vice President at UOB Venture Management, a Singapore-based private equity firm investing throughout Asia. Prior to joining UOB in 2010, Olivier worked in Vietnam and Singapore at Deloitte Corporate Finance, acting as lead M&A advisor to companies acquiring or divesting assets in Southeast Asia. Prior to this, he worked in France in management consulting at Accenture and AT Kearney, where he assisted companies on their strategy, organisation and operations & performance improvement. Mr. Son-Nam is currently Director at the International Division of Lombard Odier & Cie the second largest family owned private bank in Switzerland. Previously he was Associate Director at UBS AG in the Wealth Management division. Selected among a panel of well over 2000 candidates, he joined the first Wealth Management associate program of UBS geared towards young professionals with a minimum of 5 years experience. He worked for UBS in Geneva, Zurich and Singapore for over five years. Previously, He worked as a European equity fund manager at Union Bancaire Privee (UBP) and financial analyst covering the financial and energy sector. Mr. Pham was the Vietnam Country Head for Bank of America Merrill Lynch. Khoi joined Merrill Lynch in 2007 from Standard Chartered Bank Singapore, where he worked for five years, most recently as a Director and Head of Asia Credit Trading and Head of Fixed Income Vietnam. 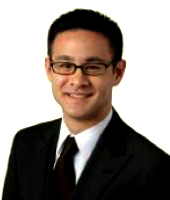 Khoi previously worked for Barclays Capital Asia in Hong Kong and London in the fixed income trading department. He began his career at Vietnam Airlines in 1989 working in Hong Kong, Taipei, Osaka, Tokyo, Berlin and Hanoi, where he was general manager for northeast Asia between 1994 and 1997. Khoi has a Master of Business Administration in Finance from the Wharton School, University of Pennsylvania, and a MS in Economics Engineering, from the Civil Aviation Institute in Riga, Latvia (with Red Diploma). He also completed the International Executive Program at the INSEAD Business School in Fontainebleau, France. Mr. Vo graduated from The Wharton School at University of Pennsylvania, majoring in Finance, Management and International Relations. Before joining McKinsey & Company, Mr Vo has gained a handful of valuable experiences from HSBC Securities, Jefferies & Company and Macquarie Capital Partners, which are the leverage for his encompassing expertise. His knowledge involves a wide range of business fields including private equity, business strategy, investment banking, financial modelling and management consulting. Murli Ravi joined JAFCO Asia in 2008. He is currently Associate Director, Deputy Head of South Asia Investments. He is based in the Singapore office and is responsible for investments in South Asia. During his tenure so far, he has served on the board of 12 portfolio companies. Among others, his current board appointments include Consilium, CustomerXPs, Microland, Microqual, Mistral, Mozat and Vriti . Prior to joining JAFCO Asia, Murli worked in investments, consulting and research at Temasek Holdings, RedPill Solutions and INSEAD, during the course of which he acquired knowledge of industries such as mining, telecom/media, consumer goods, agriculture and alternative fuels. Transactions he has worked on have spanned a wide range of sizes, ranging from early-stage venture deals to significant minority stakes in large-cap public companies. Mr. Vo-Ta worked with Bank of Montreal for 12 years in Montreal, Toronto, Manila before moving to its branch in Singapore in 1981 where he headed Bank of Montreal Asia ltd., the biggest merchant bank in Singapore. He left the bank in 1996 to remain in Singapore and work with Hong Leong Group where he held several senior positions, such as Board of Director of City Developments Ltd. (since 1988), General Manager of Singapore Finance Ltd, CEO of hotel group Millennium & Copthorne International. He was also senior advisor of UBS AG, member of the Board of Trustees of SIM University and he was also President of the Canadian Business Association, Founder of MIT Club of Singapore and Vietnam2020 (Association of Vietnamese Professionals in Singapore). Mr. Vo-Ta holds BSc and MSc in Management from Massachusetts Institute of Technology (MIT). Mr. Bui obtained a Ph.D. in Molecular Biology from the University of London, in 1994. Dr. Bui worked as a research fellow funded by the Imperial Cancer Research Fund and then the Wellcome Trust, at the University of Oxford (1994-1997), followed by the Institute of Molecular and Cell Biology, Singapore (1998- 2001). In 2001, Dr. Bui obtained an MBA from the University of MacQuarie, Australia. Between 2001-2, Dr. Bui worked in a Singapore government-funded start-up company, which subsequently merged to form Exploit Technologies Pte Ltd, the commercialization arm of A*STAR. Here, Dr. Bui worked as an Assistant VP of Commercialisation in the Biomedical Sciences Group until early 2004, where he left to start-up i-DNA Biotechnology Private Limited. The vision of i-DNA is to become a leading provider of life sciences research products and customised services. Mr. Hien Le is a senior manager at Deloitte LLP where he leads the Deloitte Federal Government Service Group’s process improvement program. This program is based on the Software Engineering Institute’s Software Capability Model Integration (SEI-CMMI). He has more than 20 years of experience in energy conservation and materials engineering consulting, software engineering, marketing, and process improvement. Positions he held range from researcher, analyst, developer, QA manager, to program manager. He has established and appraised process improvement programs at numerous large as well as small organizations. Mr. Le holds BS and MS in Metallurgical Engineering and a MS in Computer Sciences and is currently a SEI-certified SCAMPI Lead Appraiser, a qualification he holds since 2000 when he was the first Vietnamese ever to be authorized by the SEI to be a Software Capability Evaluator for the Software Capability Maturity Model (SW-CMM), which is the precursor to the CMMI. Graduated from Lomonosov University with two majors Math and Physics, Dr. Phan Quoc Viet didn’t choose the common way of doing research as his career. Instead, he embarked on different journeys in various fields: he started with the IT head position in Vietsovpetro, then co-founded FPT and worked as the Marketing director, subsequently became Chairman of Vietsovpetrov, and ended up starting up Tam Viet Group at the age of 50. Rather than anyone else, he knows well about how both public and private sectors’ mechanisms work. Despite all ups-and-downs in his career, throughout his life, Dr. Phan always preserves the philosophy of talent-centric development. He has a robust concern over how Vietnam can develop and nurture our talents as well as how education can change the future of our country. 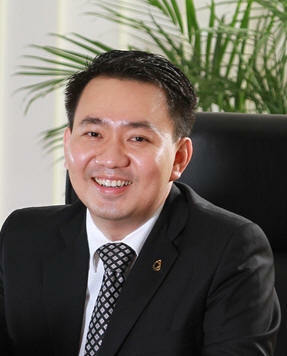 Minh is the Chairman & CEO of VNG Corporation, the leading Internet & online game company in Vietnam. Established in 2005, VNG has grown from a 5-person start-up to the #1 domestic portal in Vietnam (Zing.vn) offering entertainment news, music, social network, and online games to 15 million Vietnamese Internet users. VNG’s mission is to “Make the Internet change Vietnamese lives” and the company goal is to serve 41 million customers by the year 2014. Prior to co-founding VNG at the age of 27, Minh worked as private equity Managing Director for VinaCapital, one of the top investment house in Vietnam. Minh received his Bachelor of Business Degree from Monash University, Australia. He represents a generation of Vietnamese entrepreneurs who came back from overseas study to start building his career. Mr. Le Tri Thong is currently the youngest Deputy CEO at DongA Bank, having served at various management posts at multinational companies and other prestigious organizations in Vietnam. Besides, Mr. Le is also very active in social and community activities with responsibilities at various organizations such as Leading Business Club (LBC), Young Business Club (YBC), and Overseas Vietnamese Students (OVS), etc. Mr. Le graduated with a Bachelor in Chemical Engineering from HCMC University of Technology as a Valedictorian. In 2004, Mr. Le was the only receipient of the Naomi Molson Scholarship, granted by Said Business School, University of Oxford for excellent students with promising career prospects. Mr. Le is also a receipient of various awards and recognition for his excellent work in his management careers as well as academic study. Ms. Nguyen joined Vinamilk in July 2009 and now serves as an Executive Director of Marketing, tasked for marketing strategic planning for dairy products and beverages. Prior to this position, Ms. Nguyen has served as Director of Marketing at PepsiCo Vietnam from 2003, Pepsi Malaysia from 2005 and Tan Hiep Phat Corporation. 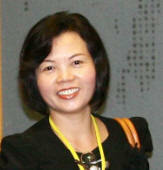 Ms. Nguyen graduated with a Bachelor in Economics from Foreign Trade University, HCMC.